Update, June 22nd: Thanks to everybody who entered to be on the S.O.A.P. Panel! It was so hard to choose only eight panelists. If you did not get chosen don’t fret…we will have another panel in the fall! Below are the eight awesome soapers who were chosen. Be sure to follow them on social media outlets to hear all about their tests in the next few weeks! 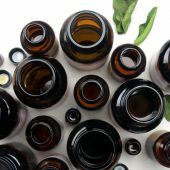 If you love experimenting with fragrance oils and trying new scents, you may be the perfect candidate for the Summer 2015 S.O.A.P. (Scent Opinion Awesome Panel) Panel! 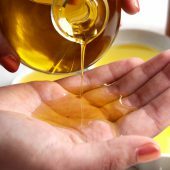 Here at Bramble Berry, we receive hundreds of fragrance oils every year. 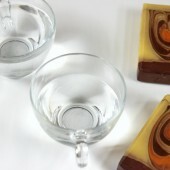 We thoroughly test each fragrance several times in cold process soap of varying batch sizes to ensure it behaves well. 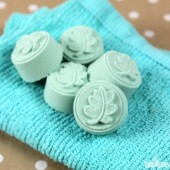 Then, the test soap is smelled after 2-3 months to ensure the scent sticks. Even with all our testing, sometimes it’s hard to choose exactly which fragrances to bring in and to test for every possible variation in recipe. That’s where the S.O.A.P. Panel comes in! The S.O.A.P. Panelists will receive approximately 1 oz. of eight mystery fragrance oils to test. Each scent will be unlabeled to ensure opinions regarding the fragrances are unbiased. 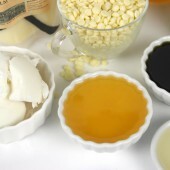 Each fragrance can be tested in cold process soap, melt and pour, lotions, or any other bath and body products. After the testing period is over, the panelists fill out a survey. 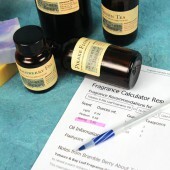 The survey includes questions about each fragrance, including how it performed and what it should be named. The S.O.A.P. Panel is also encouraged to post their opinions on social media to keep us updated on their testing process. Honest, clear feedback is encouraged…we truly want to know what you think. Recently, the Spring 2015 S.O.A.P. Panel wrapped up, and we are completing our final tests on the top picked fragrances. Once they pass the final quality check, they will be introduced to the Bramble Berry line. Below are some of the fun social media updates that were created by the Spring 2015 S.O.A.P. Panel. 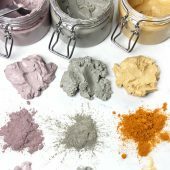 Mama Juju made a variety of videos, including a Sniff Test video, and testing the fragrances in melt and pour soap, along with testing in bath bombs. She also blogged about it on her blog, The Mama Juju. I loved her fun name suggestions for each fragrance! You can watch her videos below. 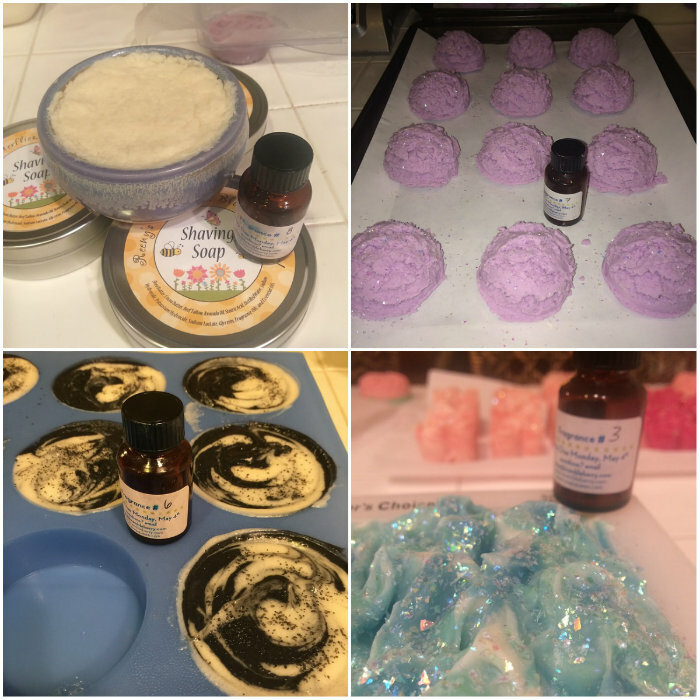 Shelly from Lion and Rose Soaps also shared her testing results on her blog. 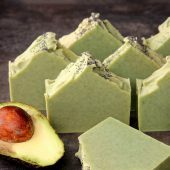 In addition, Shelly made videos for her testing process in cold process soap, you can watch her “Part One,” video below! Click here to see watch her first impressions of the fragrances, as well as part two of testing. Kevin from Devinely Designed also created several YouTube videos to demonstrate and share his testing experience. 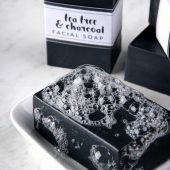 You can watch him unwrapping and smelling each fragrance oil and testing them in cold process soap via the videos below. We were so thrilled to have a very active S.O.A.P. 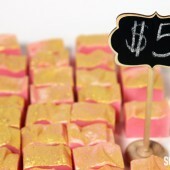 Jennifer of Skyline Soapworks made several awesome videos as well. Click here to watch her first impressions. Below, you can watch Jennifer testing her #1 and #2 fragrances in cold process soap. You can watch her test fragrances #3 and #4 here, #5 and #6 here, and the final fragrances #7 and #8 here. Instagram is an inspiring way to share the testing results. Maureen of Reeny’s Butterflies Blooms and Bees posted photos of her testing methods on her Instagram page. 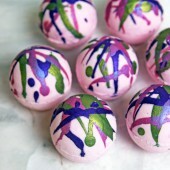 Maureen tested the fragrances in cold process soap, bath bombs and balms. Below are some of Maureen’s creations using the mystery fragrances. Want to be a part of the Summer 2015 S.O.A.P. Panel? Entering is easy! Note: S.O.A.P. Panel members have about 7 weeks to test the fragrances. Please make sure you will be able to commit to testing all fragrances before entering. Because these fragrances can’t ship internationally, we are not able accept international entries. The fragrances are only able to ship to the lower 48 U.S. states. Tweet, Facebook, Pin, Instagram or blog about your favorite Bramble Berry product (including the links) and why you should be selected for the S.O.A.P. Panel. The last day to enter is this Thursday, June 18th. S.O.A.P. Panel will be announced on June 22nd and samples will be sent out by June 24th. What an amazing concept to have your faithful followers test out your amazing fragrances!!! 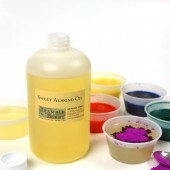 Scents are the biggest draw my customer’s have. 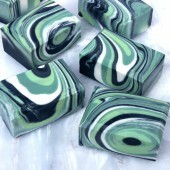 They love that my soaps are all natural, but they love that they smell so good, even better!!! I made my first batch of cold process in January, this year. It was all done following the Soap Queen tutorials. I have been successful, literally, because of you and your phenomenal business model. As for what I can contribute to this Summer S.O.A.P. 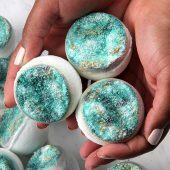 Panel, I would live to test out OOB in some bath fizzies, and look for A, R, & D in cold process, as well as scent hold (such a timely blog post on that today, BTW!). My favorite Bramble Berry scent is Crisp Apple Rose. It is such an intriguing mix, that even those who don’t like super purfumey/ florals really enjoy. It also soaps wonderfully! 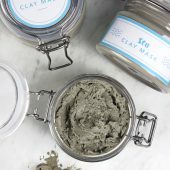 It is my best seller, and I tried it out based on your testing results and reviews. I would be truly humbled and honored to be chosen for a FO tester this summer. Hello! I don’t have a blog because I’m a small timer with two young kids who teaches home-school and what not. I have great admiration for those who blog, but I’m not there yet! 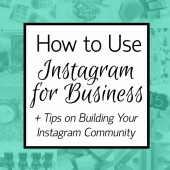 I do keep up with my customers through Twitter, Facebook, and Instagram though! 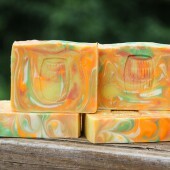 I have posted pictures on Facebook of my soaps with captions and links to my favorite fragrances and essential oils. But hey, I LOVE all of your fragrances and essential oils! It was too hard to choose. I hope I am accepted because I love a good challenge, and I believe I am at the point with my skill that I could handle a 7 week testing extravaganza! Here’s one for Twitter too! I’m having too much fun! https://twitter.com/solesanctifier/status/611284790650793985 Good luck to all contestants! Just wanted to stop by and say Good Luck to everyone who has entered :)! Brambleberry has delightful fragrances. My favorite is cranberry and fig. I know that it is a winter scent but I love it all year round. I would love to be chosen as a tester for Bramble Berry! 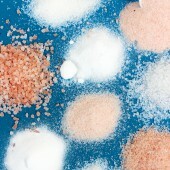 I make soaps, lotions, lotion bars and sugar scrubs, so the mystery fragrances would get a great range of testing. My favorite item at Bramble Berry is the Cranberry Pomegranate FO. 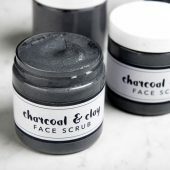 Nearly every item I make has this as one of the scents (except for lip balms). Everyone loves it! Truly a mainstay for me, and part of the reason I want to be a tester; I’d love to discover that next “magical” fragrance for me to use! Hi! I’m new to soaping but I love brambleberry! Their products are awesome and even more impressive is their customer service. My very first soaping project was the pink himalayan sea salt bath soap and I’ve been hooked every since. I have sent many messages back and forth through facebook with Kelsey and some of the others. I’m a M&P soaper but I would love to be a tester. I’m currently only making soaps for myself, friends and family. I’ve not yet added them to my Etsy page (I sell painted signs). 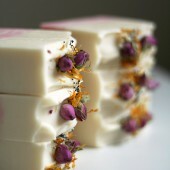 In addition to soaps I also love making other bath & body products. I share my soap creations on my personal facebook page mostly (https://www.facebook.com/5StarImagesofNWA) and instagram (@applehillcreations). My favorite brambleberry products are the fragrance oils: my two current faves are heavenly honeysuckle and green fig! Yes, Kelsey, I love it! Nice and fresh! 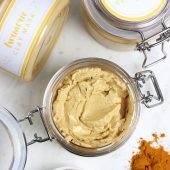 I just ordered Rosewood Vanilla and Champagne FO’s yesterday because I saw where you and Amanda had mentioned before about them being personal faves. So I know they’ve got to be good. Y’alls recommendations have never let me down. Got those and Flower Child. Can’t wait to try them! I too would love to be part of your 2015 S.O.A.P. Panel. I started soaping a little over a year ago and now I’m addicted to making C.P. 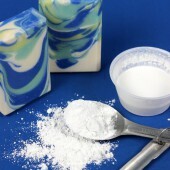 Soap along with many other personal products. 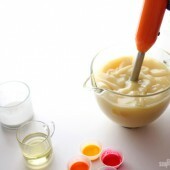 Natural products are important to me, and making them myself is fun & rewarding. 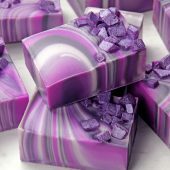 Thanks Bramble Berry for all your great products and thanks to Ann-Marie Faiola for all your great tutorials on Soap Queen! 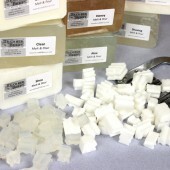 You have been a great resource for me as I am learning all about making soap. I would love to be a part of the Summer 2015 S.O.A.P. Panel! 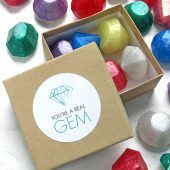 I love everything about Brambleberry… not only the fabulous products, and the incredible customer service… but the fact that they do so much for their community. It is so easy to rave about this company! My favorite BB product? Hands down – Autumn Fig Harvest Fragrance Oil. Love it!! 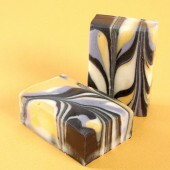 I am just discovering the world of cold process soap making and it is wonderful! I’ve been reading the blog, watching SoapTV, and browsing the website for many months now. 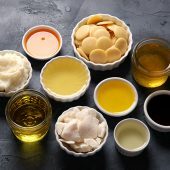 Its difficult to choose only one favorite product; however, my favorite thing about Bramble Berry is the way that your fats/oils are packaged in pouches with an easy pour spout. I have purchased supplies from several other vendors and none of them package the way that Bramble Berry does! Its awesome, you guys should NEVER get rid of that design. I would love to be on the Summer 2015 Soap Panel to test new fragrances. 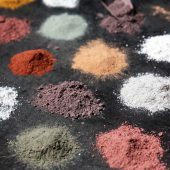 I am in the process of developing new recipes and would love to test fragrances with them as well! Isn’t it such a blast? Thanks so much Amelia! Thanks so much for your kind message Cricket, and thanks for your submission! I would love to be chosen to be a tester for the Summer 2015 S.O.A.P Panel. I am a fairly new soaper but I Love fragrances!! 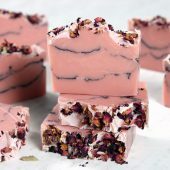 I cannot wait to try new ones in soap and see how some change and others don’t and I write down everything about each batch I make so I can learn about each fragrance I use. And even if I am not chosen I am still very excited to watch everyone else that is to see how they like each one and then I make a list of which ones I want to try!! I would love to be picked! 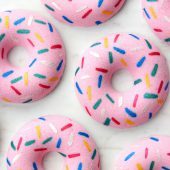 I really love Bramble Berry in general, and the way everyone really wants to help the soaping community. Being a part of that would be awesome! I’d love to be part of the Summer S.O.A.P Panel! 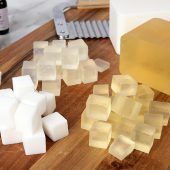 I’ve gone from an occasional soap-maker to completely obsessed, due in large part to this blog and the Brambleberry Web site (and a really lucky proximity to fresh goat’s milk). 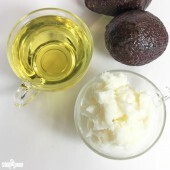 My favorite scent so far is the Crisp Anjou Pear (https://www.brambleberry.com/Crisp-Anjou-Pear-Fragrance-Oil-P5258.aspx). My husband kept all six bars for himself, he loved it so much! Ahh!! I would love to get in on this! I am a huge Brambleberry fan and it would be hard to just pick a “few” of my favorites. Every order I get is never a disappointment and my customers love what I am able to come up with thanks to the products from Brambleberry. I am super soaping nerd and I think I could have so much fun with this and make fun, quirky videos throughout the process. It’s so hard to pick one thing that I love above all others from Bramble Berry. 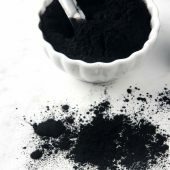 Its so nice to know that you can count on helpful, prompt troubleshooting and customer service, high quality products, and that everything they carry is thoroughly tested and described on the website in both print and photo. No other supplier that I have found goes this extra mile. 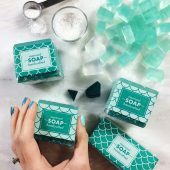 If I had to choose, I would say the Soap Crafting Club is my favorite product. Subscribing to the club helped me get over my fear of working with lye, and has taught me so many techniques that I wouldn’t have attempted otherwise. 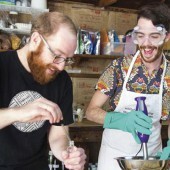 You also get access to tutorials, connections to Anne-Marie and other soapers in the classroom, and the confidence to make the leap into cold process soap making. Every time a new fragrance comes out, I have to try it, and imagine the possible combinations. I would love to be on the S.O.A.P Panel! Where do I start? Bramblebery is pretty much my go to for everything! 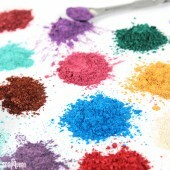 Mica powders and color blocks are the best! 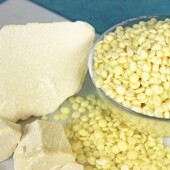 Sandalwood fragrance is exceptional to use as Sandalwood essential oil is so expensive so having a supplement is amazing! And the tutorials and kits and..and..and!! I love Brambleberry! My first purchase was the gardener’s soap M & P and I was hooked. 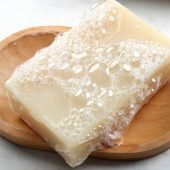 Love the sweetgrass, milk and honey fragrances, the soap molds and the Cold Processed Soap video’s and heat ad pour oils. 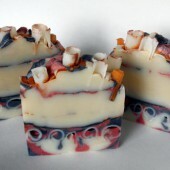 Brambleberry is the first place I purchased soap making products and I am still here creating, learning etc. the customer service is wonderful! LOVE it all! I would be thrilled and honored to be a participant in any panel offered by bramble berry. 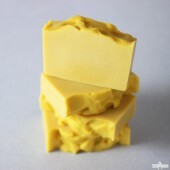 I appreciate all that you do for the soaping community. Fingers crossed for a great opportunity! Thanks so much for applying! 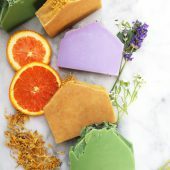 Your soap looks absolutely stunning 🙂 The 10″ Silicone Mold is my go-to mold as well! I love Brambleberry scents, my favorite are Japenese Cherry Blossom and Island Escape. I am a real fragrance oil addict, I probably have about 125-150 scents. I can not control myself when it comes to fragrance oil. I also love Brambleberry Jojoba beads. They make my scrubs turn into beautiful colors without using Micas. 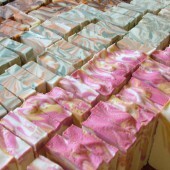 I would love to be a tester to be able to have an excuse to make more soaps and lotions!!! Thanks so much for applying! I’m so happy to hear that your friends and family have been able to receive your awesome creations. That’s my favorite part of crafting…giving it to friends and family! 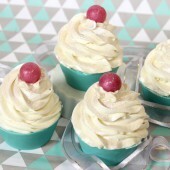 Bramble Berry’s Champagne fragrance oil is my favorite scent for my homemade bath bomb cupcake frosting. 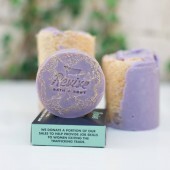 The tart and fizzy sweetness really complements any scent combo. 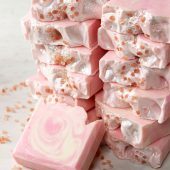 If selected for the Summer 2015 Soap Panel, I would test the fragrances in melt and pour, whipped soap frostings, bath bombs, & bath milks. Testing in a number of products would allow me to provide the best feedback on how they perform across the board. 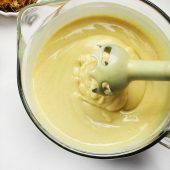 I am in love with the Swirl Recipe Quick Mix! I purchased this less than a month ago, and it is my absolute new favorite! Gives you the time you need to do intricate swirls, designs, techniques, etc. to create the unique bar you want! 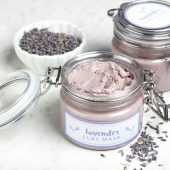 Bramble Berry has given me the opportunity to try new products, and I would love to return the favor and try new fragrances for them! I hope I am chosen to be on the panel, I am always open into trying new things! Thanks for this opportunity, Bramble Berry! I think it would be so fun to test you summer 2015 S.O.A.P. fragrances. 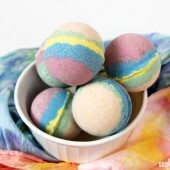 i would have alot of fun sharing with all my friends on facebook, & all my fellow soapers in soaping forums! 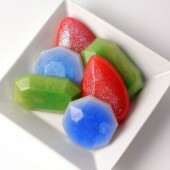 I would use the 1 lb mold to test them, & have fun doing so. I tweeted about this here- https://twitter.com/skayc1/status/610589861372936195 . 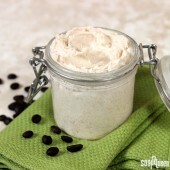 Oh & I would never buy the shea butter that I use in my soaps from anyone else. Oh man, I went on and on about my favorite fragrance oil: Blackberry Sage. 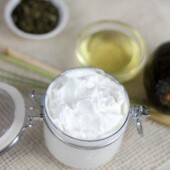 My favorite BB product is the fragrance, “White tea and Ginger”. I love it in MP, CP and body butter. Amazing! Here is my entry. I hope I win! I want to “Score” a seat on soapqueen.com’s Summer 2015 S.O.A.P panel! My fave ‪#‎brambleberry‬ product is Sweet Meyer Lemon fragrance oil! I make not 1, not 2, but 3 luscious lemony goodies with this fragrance. 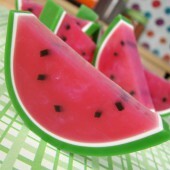 Soap Queen should pick me because I create awesome soap AND adjectives! 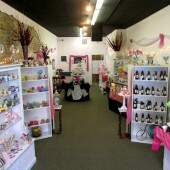 I love all of Bramble Berry’s products and not even sure how I could narrow it down. My longest running favorite would have to be Salty Mariner. I love creating new things and I am in love with fragrances. Having the chance to experiment with new fragrances would be amazing. 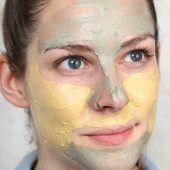 I am the quintessential home chemist, finding out what makes the best lotions, soaps, and face creams. I’ve dabbled in salves and perfumes a bit as well. In my family, I’m renowned for my excellent sniffer and my “taste” in scents. I would be a perfect candidate for testing out new scents! Right now, my favorite Bramble Berry product is a scent–it’s the Pure Honey fragrance oil. Divine! Can’t spell my own name!! 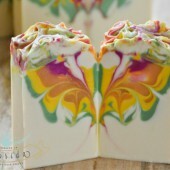 I love trying out new fragrances for my Goat Milk Soap and Bath products! Would love a chance at being on the panel. I’m super excited to hear the results of the Spring Panel and I’m hoping to be chosen for the Summer Panel! I have a lot of favorites from Bramble Berry; it was super hard to just pick one!